Whores. Announce Headline Tour with Wrong & Bummer – Ouch That Hertz! 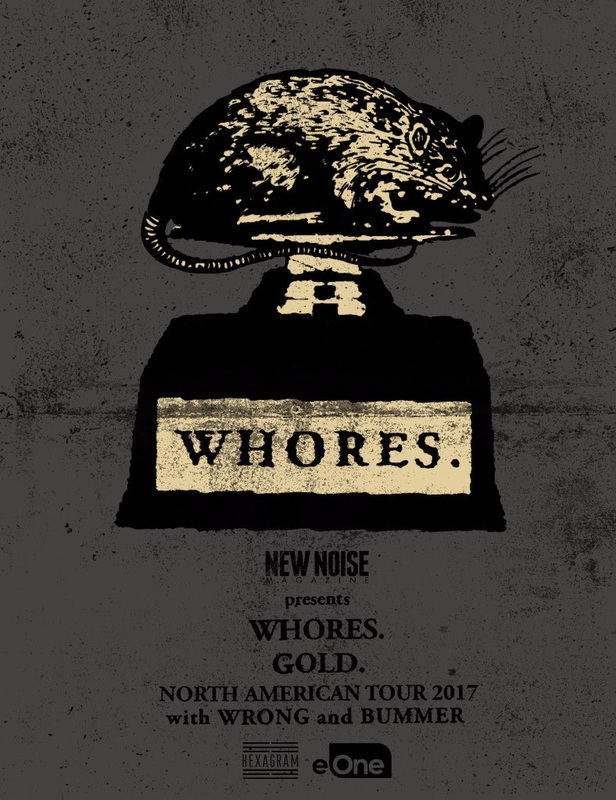 February 14th, 2017 – Atlanta’s finest, Whores., have announced a brand new batch of headlining tour dates today in continued support of their new LP that came out late last year. “We’re ready to blast super hard with unsafe levels of volume and noise on our first headlining tour for Gold!” says guitarist and frontman Christian Lembach. Dates kick off on May 12th in their hometown of Atlanta, GA and stretch coast to coast before wrapping up in Dallas, TX on June 11th. Support will come from Miami, Florida’s Wrong (members of TORCHE) and Bummer from Kansas City, MO. Before then the band will head to Europe to support Big Business on the Command Your Weather European Tour. Dates kick off on March 31st and include a first ever appearance on the legendary ROADBURN FESTIVAL on April 21st. Whores. will also participate in this year’s CHICAGO OPEN AIR FESTIVAL on July 16th with The Dillinger Escape Plan, Pig Destroyer, Code Orange, Clutch, Slayer, Lamb of God and Ozzy Osbourne. Whores. released GOLD. on October 28th, 2016 via Entertainment One (eOne), the first for their new label home. GOLD. is available overseas via SPV. The debut LP was recorded at Parhelion Studios with producer Ryan Boesch (Helmet, Fu Manchu, Melvins). GOLD. is the follow up to the highly buzzed about EP Clean (2013), which was widely cheered by critics. Also recorded by Boesch, the record sold out within a month, prompting the band to quickly release a second pressing. Clean is now on its sixth pressing. Formed in 2010, Atlanta, Ga. noise merchants Whores. have quickly become infamous, thanks to their crushing live shows and no-holds-barred punk rock attitude. 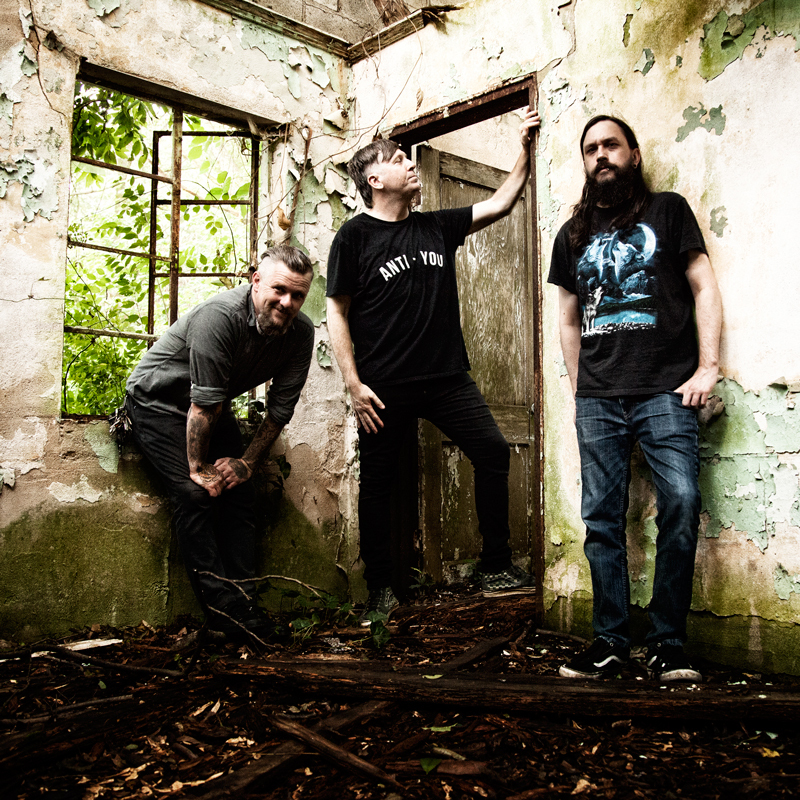 The band signed to Brutal Panda Records in 2011 to unleash their ferocious debut, Ruiner. Recorded at The Factory in Atlanta, Ruiner. features five crushingly heavy tracks of pissed-off noise rock for fans of Helmet, Pissed Jeans, Harvey Milk and The Jesus Lizard. Whores. is Christian Lembach, Casey Maxwell and Donnie Adkinson.